Product information "Caulk-Mate Decorators Caulk"
Easy to apply, quick drying - overpaint within 1-2 hours! Quick drying, interior, acrylic decorators gap and crack filler that bonds to most surfaces and can be overpainted within 1-2 hours of application. Good adhesion properties and can be used to seal door and window frames as well as interior sealing of skirting boards and polystyrene coving. 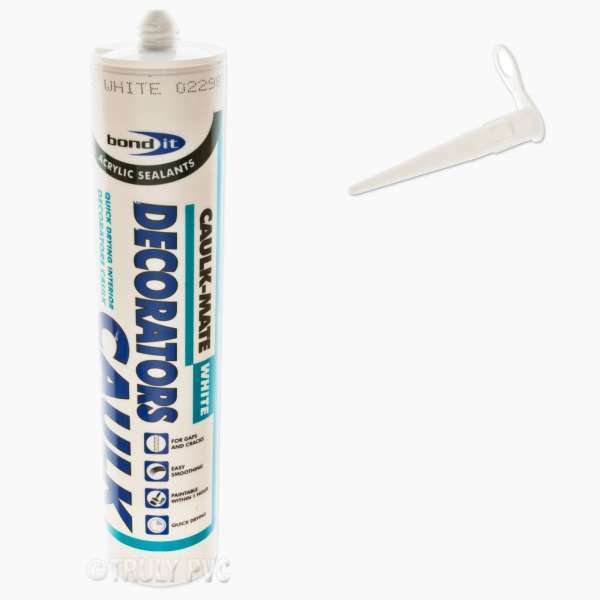 Caulk-Mate sticks to most surfaces including: wood, stair risings, plaster, brick, concrete, plasterboard and light fittings. Manufactured by Bond-It, a leading name in the production of sealants, adhesives, polyurethanes and more; Bond-It has an enviable reputation in the marketplace for quality and reliability, which is why they are chosen by Truly PVC Supplies. 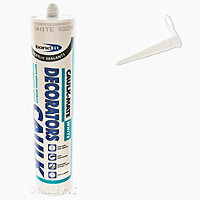 Related links to "Caulk-Mate Decorators Caulk"
Customer review for "Caulk-Mate Decorators Caulk"